What it lacks in refinement, it provides in value. 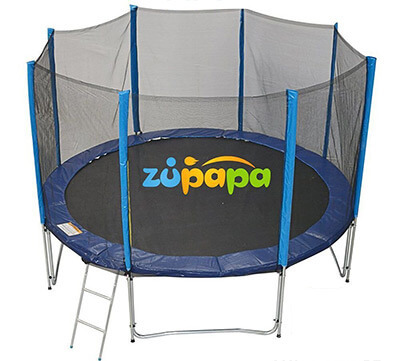 The Zupapa trampoline is big on providing more bang for your buck. Even though our communication with the manufacturer had us erupt in laughter due to bad English, as we’ve stated, engineering knows no language. Obviously, this trampoline is foreign-made and imported, but Zupapa are big on certificates and display their TÜV certificate proudly. 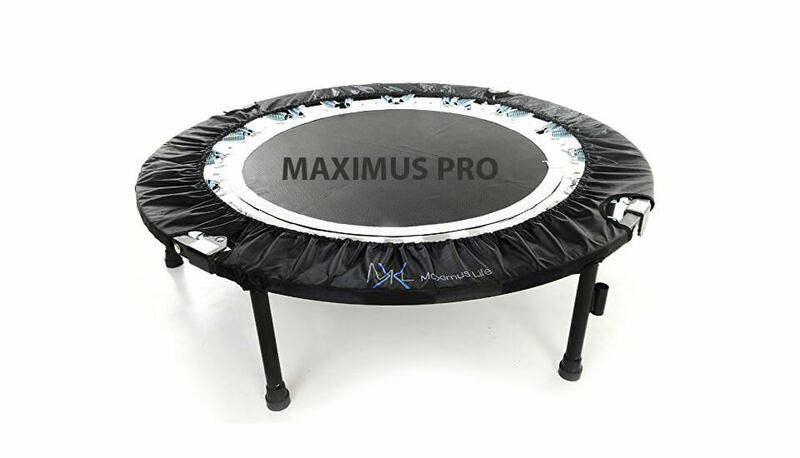 This, in essence, means that the trampoline meets the standards in manufacturing and materials. 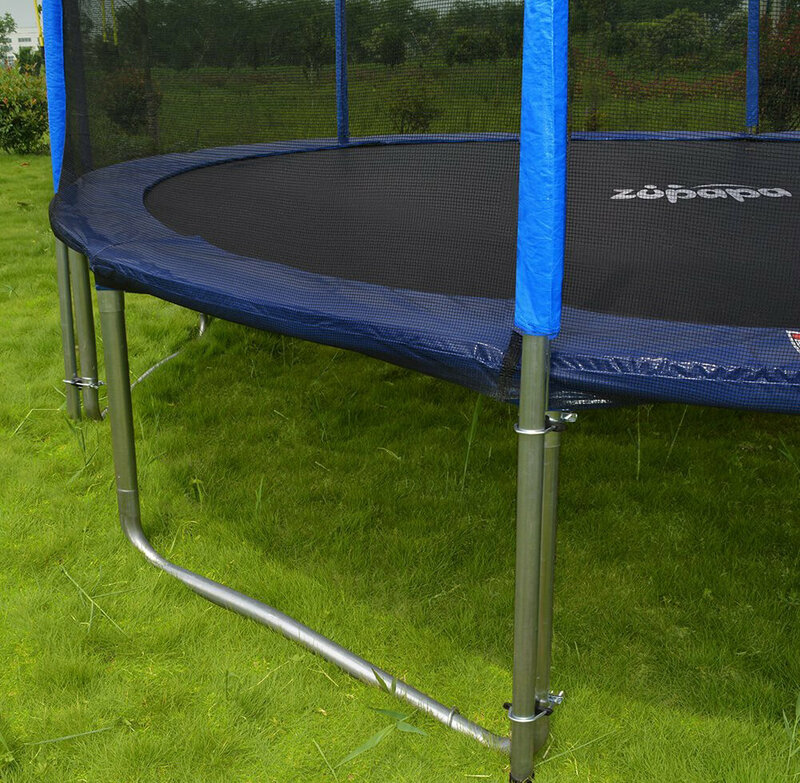 In practice, the Zupapa trampoline 15ft set comes with a 1.65 in diameter steel tubing, 1.5 millimeters thick. The manufacturer claims that it’s much thicker than the rest – close, but no cigar. It’s perfectly, adequate, though. The trampoline can safely be left outside since the frame is galvanized to ward off rust. UV-protected polyethylene netting helps keep bouncers safe, although the old-style enclosure doesn’t keep the springs away from the enclosed area. 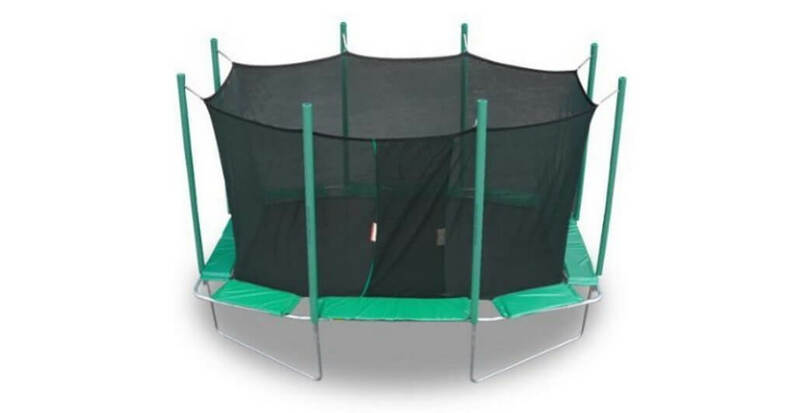 The overall height of the trampoline is 2.5 metres (98 inches), with a ground clearance of 26 inches. It features double-reinforced legs thanks to the use of long enclosure poles that go all the way down to the ground. 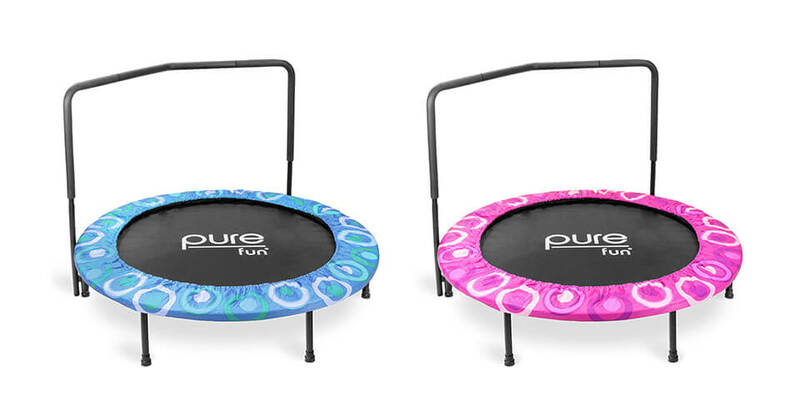 This adds structural stability to the trampoline and makes for a more responsive bounce. The poles are enclosed in foam 1cm thick. Nope, that’s not much, but others aren’t much better either, except in some more pricey models, like ACON round or AlleyOop PowerBounce. The design is same old and quite boring, if you ask us. It sports a shade of ‘boring blue’ as we like to call it; this is an indication of an overseas-manufactured cookie-cutter parts. 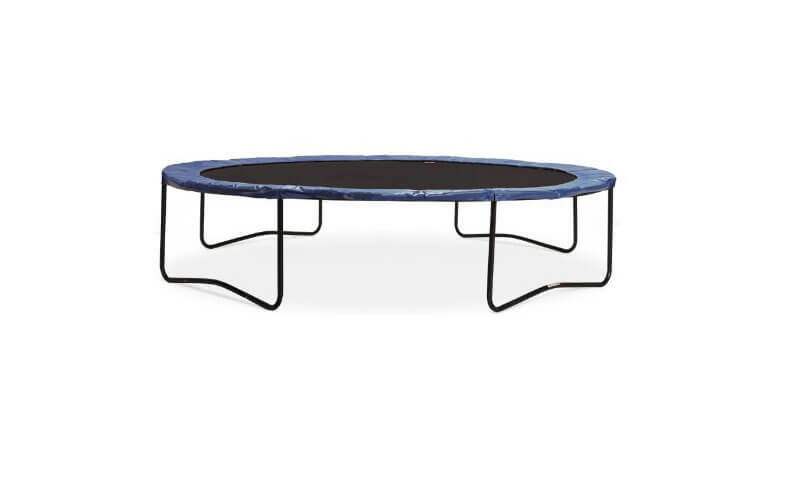 But this is not a trampoline you buy for its looks alone. Note that you also get a complimentary ladder, which will be useful for younger jumpers. 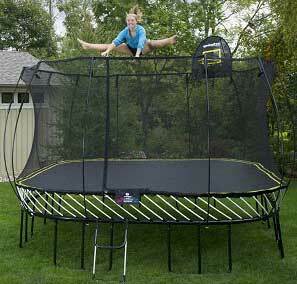 A major plus point for the trampoline is the fact that it comes with 108 galvanized springs. And they are quite long – 7 inches each. That’s among the best for the size: other come with 96 or even 72. This, of course, translates to a more responsive and comfortable bounce. The overall weight limit is 375 lbs (170kg) which is enough for a single person and then some, so you are perfectly safe. 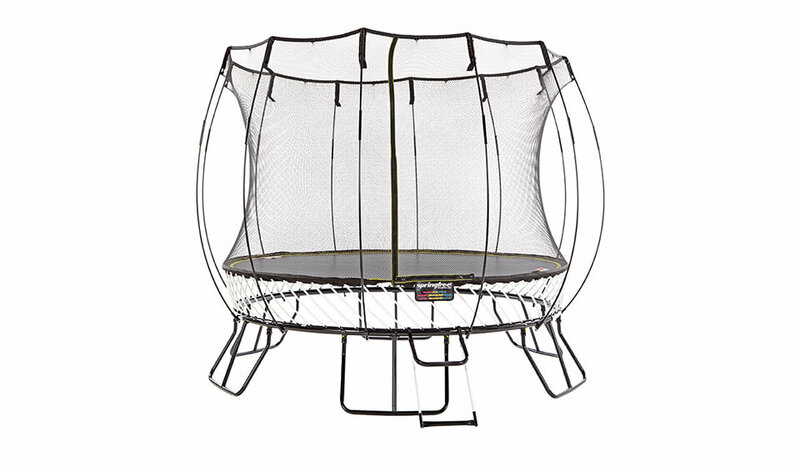 It doesn’t feel unsafe to bounce on at any moment. Expect the safety pads to give out the soonest. Some have experienced severe wear in just under a year and they can be costly to replace. The damage is mostly cosmetic, though. There were no such problems with enclosure or mat. You get a mat cover to help preserve the trampoline in severe weather. 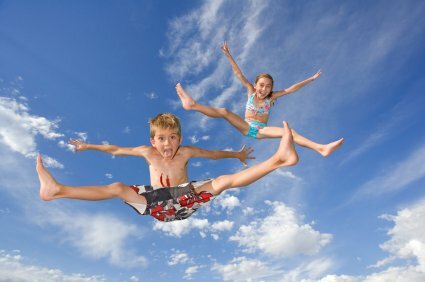 As for the trampoline stakes, get them if you want to be absolutely safe. 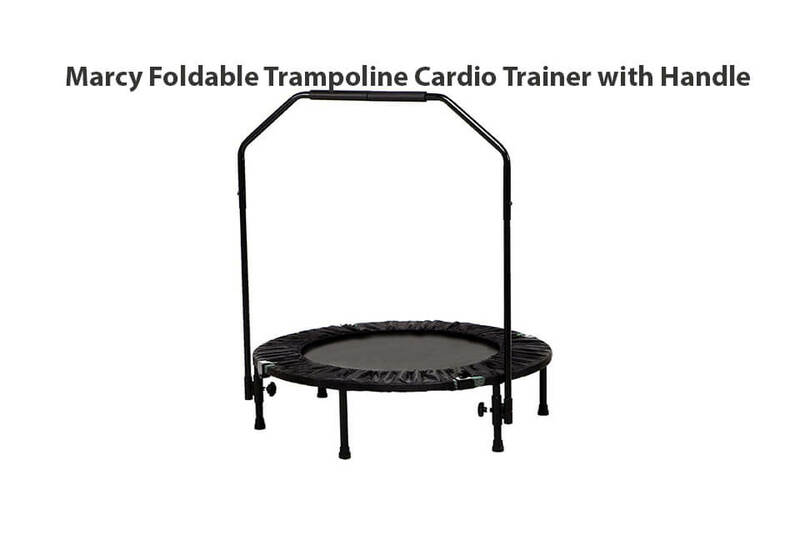 But the trampoline is quite heavy when assembled so they might not even be necessary. Zupapa trampoline comes in three HUGE boxes. Don’t be put off, however, as the instructions are simple and it’s doable: just be patient! Everything is included in the boxes, and you won’t need any extra tools. You even get a pair of gloves so that you don’t get your hands dirty with oil and grease from the metal parts. They’ve really tried to make installation as simple as possible. The hardest part is putting the foam sleeves on the enclosure poles. If you’re having trouble like we did, just secure it with duct tape or something similar. You should be done in an hour, two hours tops! No parts were missing when the trampoline arrived. The customer service is good, actually, and they will help you replace parts easily if broken under warranty, no questions asked. Expect great service! 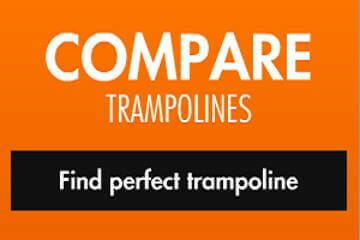 This is a rarity in the trampoline world and the unit is worth recommending for this alone. 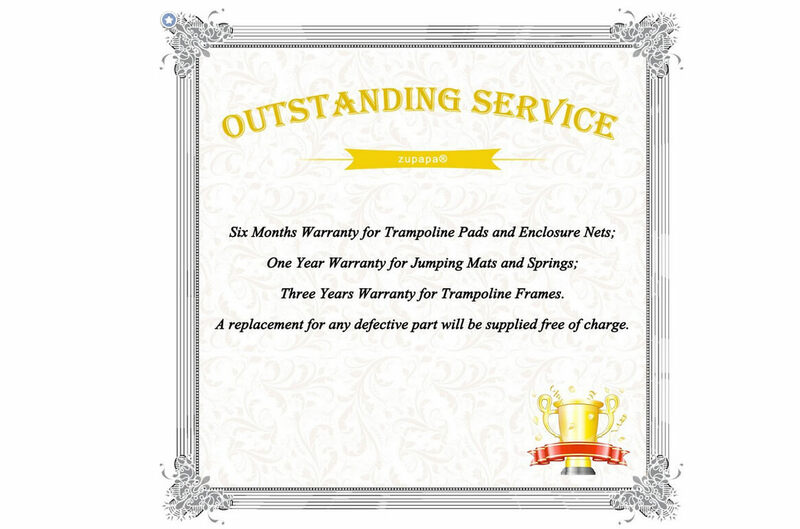 The warranty is 3 years on the frame, 1 year on mats and springs, and 6 months on trampoline pad and the enclosure netting. Accessories have a 3 months warranty. It’s not the longest, but as we said, the customer service is fantastic and you have someone to rely on. 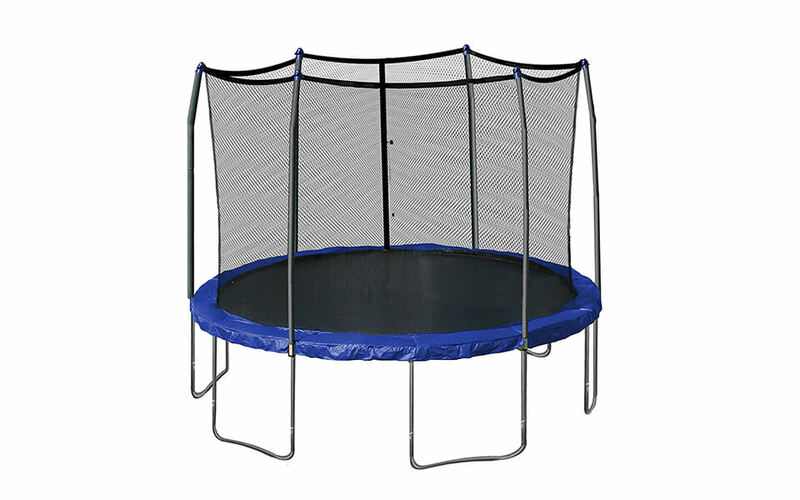 Any customer service queries regarding Zupapa trampoline should be sent to their e-mail address at maxlead.us@gmail.com. 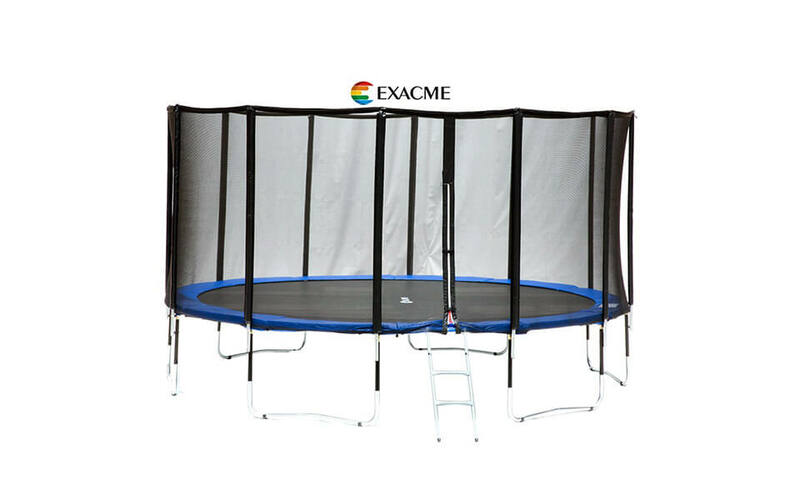 Overall, this is a good trampoline providing you with adequate safety and no major flaws at a good price point. 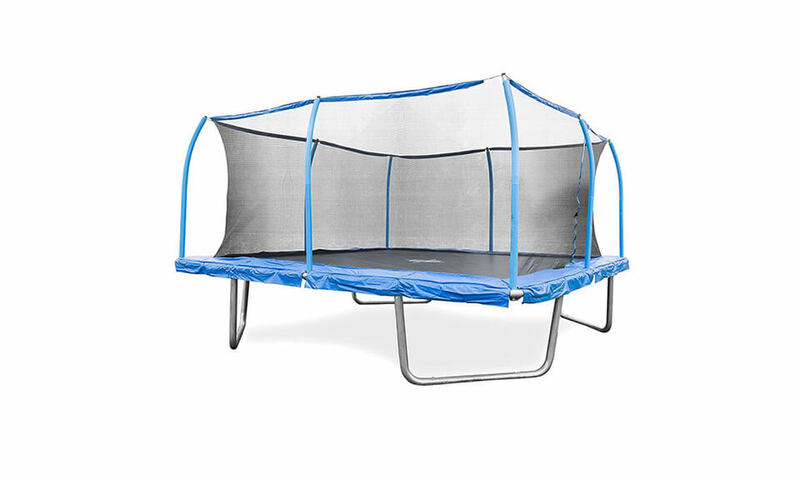 It’s not underpriced by any means, but you’re getting what you pay for – a great quality, understated trampoline with great materials and durability. One of the best mid-range 15ft. trampolines around. Recommended!